PARKING PASSES AVAILABLE FOR THE NEARBY CHURCH CALL RESTAURANT UPON ARRIVAL.INAPPROPRIATE FOR CHILDREN UNDER 7A BUSINESS CASUAL ATTIRE IS REQUIRED : NO SNEAKERS, JEANS, FLIP-FLOPS, T-SHIRTS OR TANK-TOPS. BUSINESS CASUAL ATTIRE REQUIRED: No sneakers, jeans, flip-flops, T-shirts, or tank tops. Due to the style of our restaurant, it would be inappropriate for children under the age of seven (7). Get the Duck with coffee and if available, the Veal Chops! Jarred is a very nice guy. Great service! Great restaurant option compared to Newport’s typical fair. Waiter was a real pro, food was great. Disappointing to see them make a dress code exception to a couple wearing jeans after they interegated me over the phone as to how I was planning to dress and to remember than no children under 7 were allowed! While we three my husband myself & well traveled 12 year old son had a great experience they need to ditch the silk flowers and enforce their dress code to all! A bit disappointed overall. Waiters seemed distracted. Forgot to bring bread despite bread plates and butter knives on the table. Forgot to bring the wine we ordered. 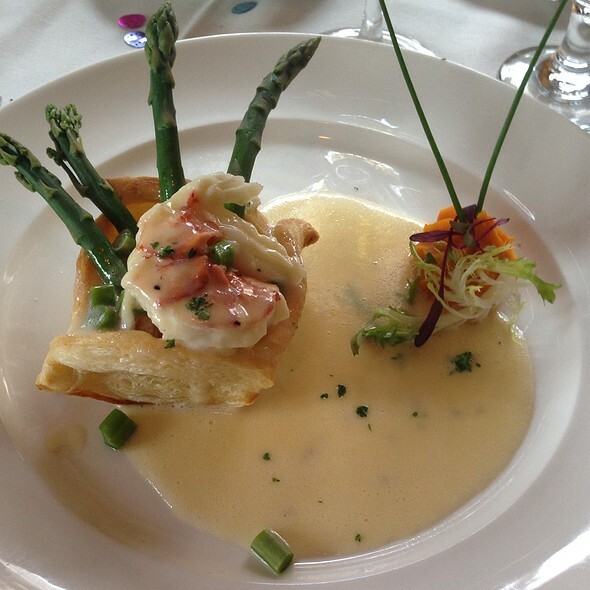 Food was nicely presented and quantities good but not up to the ratings here, apart from the lobster bisque. Lobster main was a little sweet. Swordfish special just lacked flavor. We come here at leady once a year, usually at Easter. The food and service are always beyond outstanding. Dan, our waiter/bartender is funny, unobtrusive but always knows what we need. 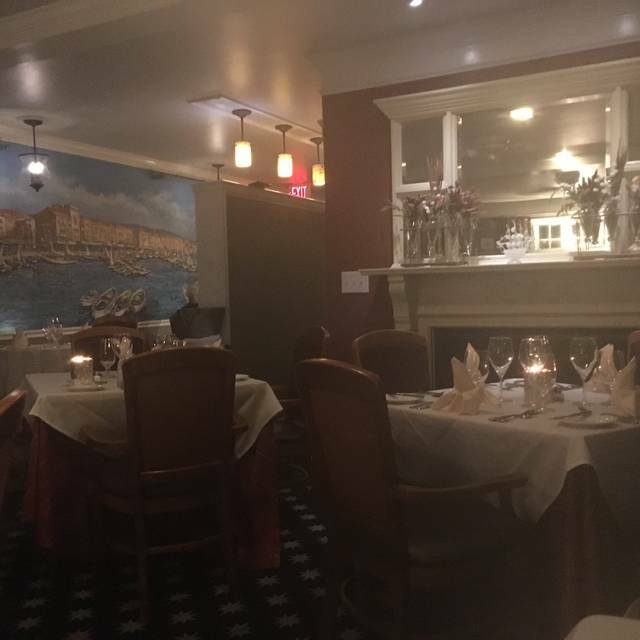 Our favorite restaurant in newport and all of aquidneck island. My favorite restaurant for celebrating everything!!! Excellent. The food was fantastic. The service was great- Jared, Ben, and the rest of the staff were wonderful. Always polished with excellent food and service. Amazing food, staff and overall experience. This was our second time here and they exceeded our expectations again! Fabulous food and service. Especially nice that there is a dress code. The "code" lends itself to a classy experience. Years ago we stopped going to Bouchard’s because, despite our love of the cuisine, we found the service to be painfully slow. Our experience this time was vastly improved. 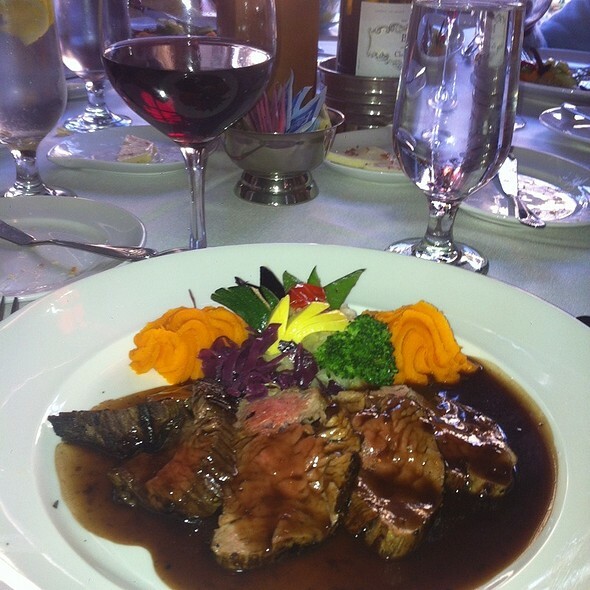 The food was excellent, the wine list terrific and the serve was friendly and efficient but not overly hurried. We shall return! I've been to Bouchard three times, and it has been an outstanding experience every time. 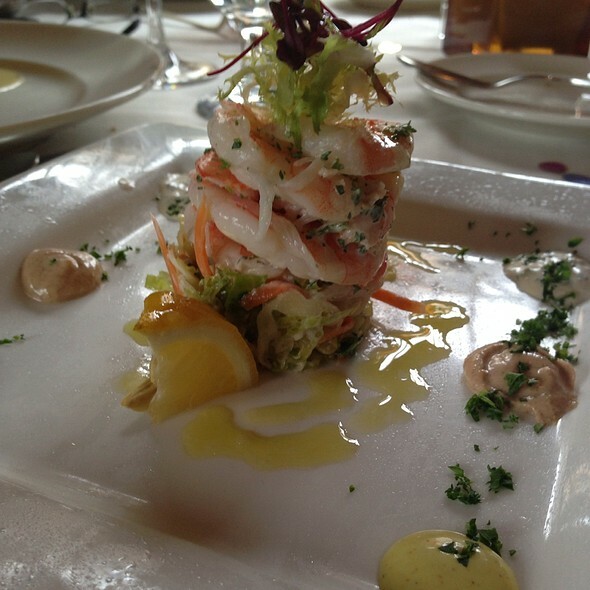 A classic French restaurant with service and ambiance to match the masterfully-executed food. Note that Bouchard offers a convenient parking option for only $7.00 -- well worth taking advantage of, unless you are unusually lucky enough to find a street space. We'll definitely be back. Bouchard's never disappoints. The food is fantastic with the smoothest, most flavorful sauces. The atmosphere is charming and intimate. And Max is the best! Bouchard's is a must. Everything was fabulous as usual! Our anniversary actually coincided with Newport restaurant this week. This made Bouchard restaurant a no brainer. The wait staff was professional and personable. Cocktails were great. The appetizers were very good. For entrées we had the sliced steak and the pork cooked in puff pastry. They, along with the vegetables they were served with were delicious! 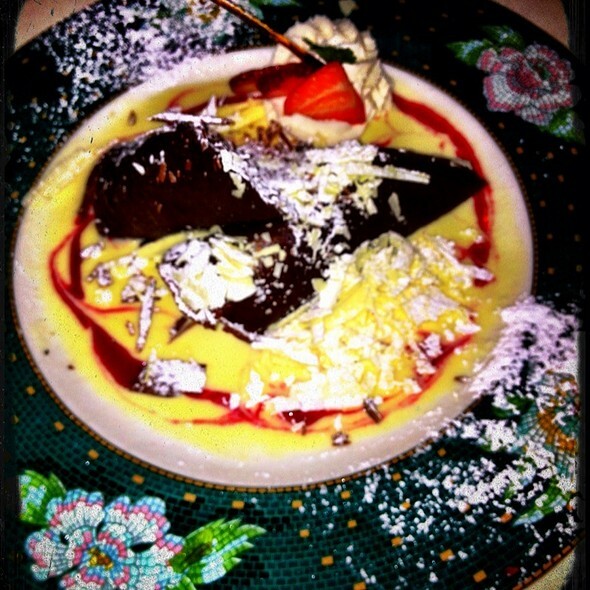 Do not miss the Grand Marnier soufflé for dessert. Because it was our anniversary, we were even treated to a glass of champagne! Lovely dinner. Lovely restaurant. Exquisite service and excellent food. The wine list is extensive too. 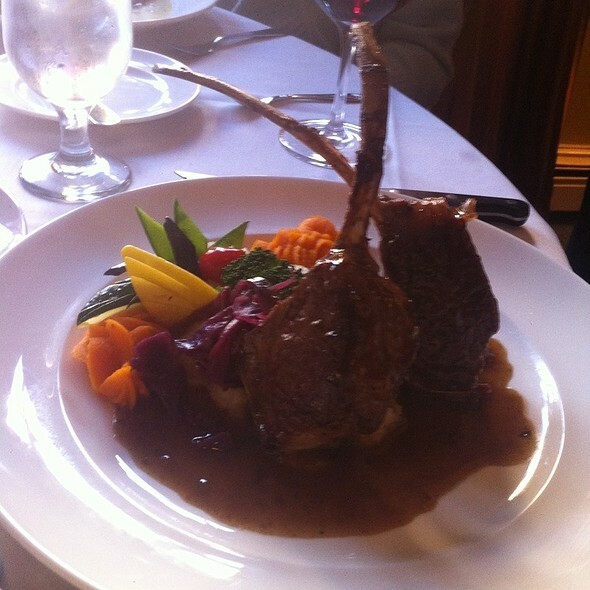 Bouchard is by far the best experience in fine dining in all of the Newport area. The service is outstanding, the food is not only delicious but presented as an art form, and the level of the entire evening is spectacular. I always treasure my dining at Bouchard. As always, this is one of the best of the best. Service, food, ambiance--extraordinary. Can't wait to go back! Where to begin? Well, the gracious, considerate and consummately well mannered greeting that initiated our introduction to Bouchard set a most agreeable tone, which served as prelude to an exceptional dining experience. With only 765 fast fading characters remaining I will attempt to digress to reflect upon particular highlights of this gustatory wonderland. In a word, run the menu if one is of a mind to pursue an A.J .Liebling measure of gustatory engagement. Not a false note was struck, with subtle culinary nuances vibrantly evidenced across a range of toothsomely delectable preparations. 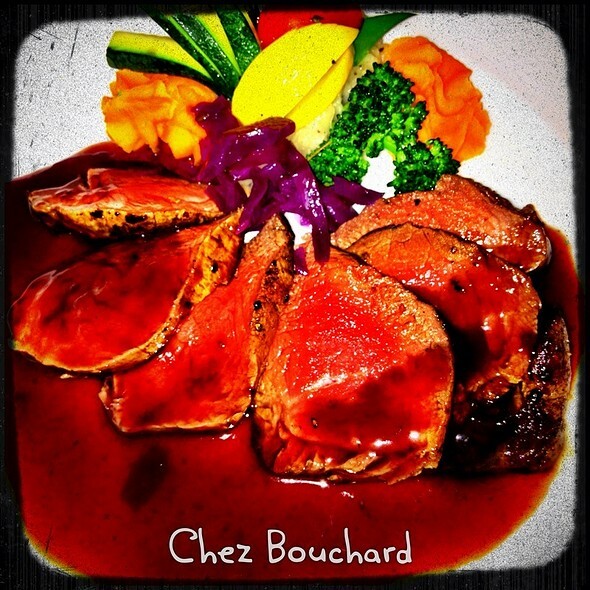 Astute, aware & professional service served to highlight the remarkably elevated standards of restaurant Bouchard. Bouchard serves as a standard bearer of propriety, gracious manner and impeccable standards. Always outstanding: food selection, variety and presentation, a wine list that has something for everyone and every course with nice wines by the glass as well, outstanding service from arrival to restaurant to departure. This is our favorite restaurant in all of New England. Birthday, what a great way to celebrate! 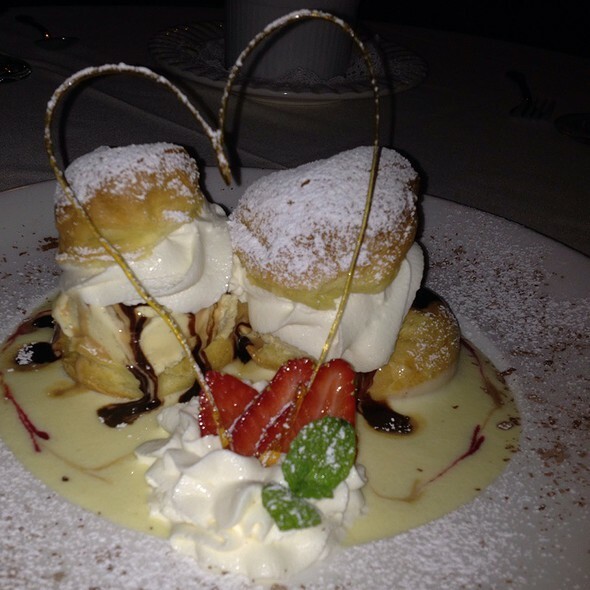 Gracious service, cosy atmosphere and beautifully presented, delicious food. No wonder it’s such a highly rated restaurant where reservations are a must. We were there midweek and I’d guess off-season (although it was Restaurant Week) and there seemed to be plenty of on-street parking, but parking in their lot a short block away would have been $7. Apparently no charge except for restaurant week. Entry/ waiting area very small, but friendly hostess available to take coats. Once seated, all was perfection. Would highly recommend this gem! Truly an outstanding restaurant. I've NEVER been disappointed. Everything was lovely and delicious as usual! Dan was our server and he never disappoints! Outstanding! If I only I could give an extra star for service. Food was outstanding and supported by a great staff! Wonderful food and service. This place truly is a gem! It was a great experience during restaurant week. By far, the best restaurant that my wife and I have visited in the United States. It is our favorite restaurant even though it takes us about 4 hrs to drive there. 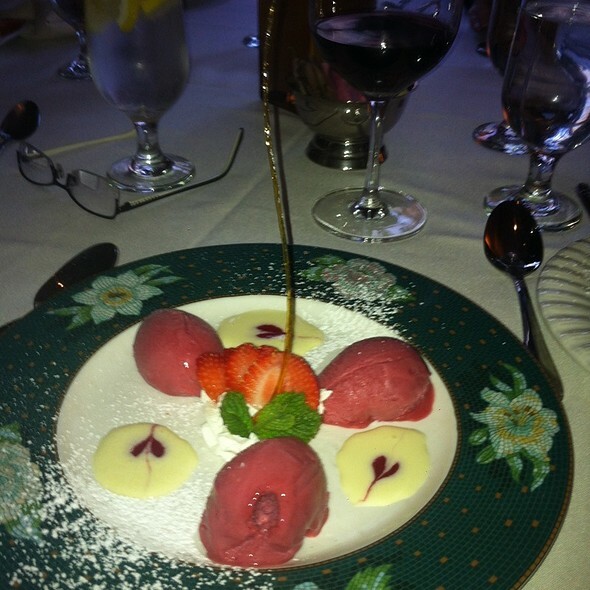 The food is exquisite and the presentation and service are wonderful. It is a beautiful restaurant and each dish is perfection as are the cocktails and the wine. We love staying at their inn as well. We've met other people who have been fortunate enough to dine there as well. It seems to be very highly regarded by many and for good reason. Wonderful experience and we brought the kids with us. Everyone made my family feel at home! Meal was fabulous! Maxim and Carmen's service were impeccable. Decor is tired...time for a face-lift. By far the best meal we ever had!! The service from DAN was outstanding!! When back in Newport this will be our only restaurant of choice! Been telling coworkers all day they have to go!!!! Fabulous meal. Only regret is that we couldn’t order everything on the menu! We had a wonderful dining experience. The style of the restaurant reminded me and my husband of how important it is to slow down, enjoy the atmosphere, the wine and the food. All were superb. Our waitperson was attentive, knowledgeable, helpful and gracious. (His name is Jared.) Additionally, I requested a nice table in honor of my husband's birthday and this was provided. All-in-all a fantastic evening! Food and wine were divine. Service was tops.